Barring a few minor changes, the JPC will recommend for the introduction of the original form of the proposed legislation, which seeks to grant Indian nationality to people belonging to minority communities, other than Muslims, in Bangladesh, Pakistan and Afghanistan. "We have adopted the report in the JPC meeting today and we will submit it in Lok Sabha on January 7," BJP MP Rajendra Agrawal, who heads the panel, told PTI. Agrawal said members of the JPC can give their dissent notes till 3 PM, Friday. Opposition MPs, including those belonging to the Congress and the CPI(M), have protested the adoption of the JPC report without discussions. In protest, Congress Rajya Sabha member Bhubaneswar Kalita walked out of the JPC meeting, the sources said. Agrawal said there were detailed discussions during the panel's last meeting held on December 31 and clause-by-clause amendments initiated by the Opposition members were defeated. The BJP has an edge in the 30-member JPC. The ruling party has 14 MPs in the panel. The Congress has four members while the Trinamool Congress and the Biju Janata Dal have two MPs each. The Shiv Sena, JD(U), TRS, TDP, CPI(M), AIADMK, SP, BSP have one member each in the panel. The Bill seeks to amend the Citizenship Act, 1955, to grant Indian nationality to people belonging to minority communities -- Hindus, Sikhs, Buddhists, Jains, Parsis and Christians -- in Afghanistan, Bangladesh and Pakistan after six years of residence in India instead of 12, even if they don't possess any proper document. The Congress, the Trinamool Congress, the CPI(M) and a few other parties have been steadfastly opposing the Bill claiming that citizenship cannot be given on basis of religion. An Opposition MP said if the Bill in its present form comes into effect, then it will nullify the Assam Accord under which anyone entering the state illegally after March 1971 should be declared foreigner and deported. A large section of people and organisations in the Northeast have opposed the Bill, saying it will nullify the provisions of the Assam Accord of 1985, which fixed March 24, 1971, as the cut-off date for deportation of illegal immigrants irrespective of religion. 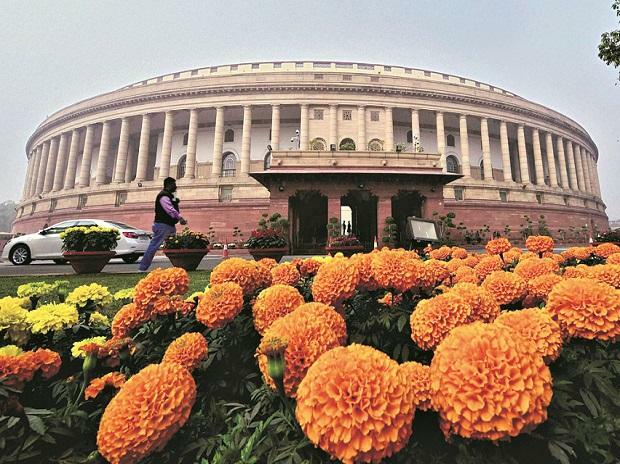 The JPC has already taken six extensions from the Lok Sabha Speaker. Last time it had sought time for the presentation of the report was on the "first day of the last week of the Winter Session, 2018". During the course of its examination and study visits, the committee met a cross-section of people in Gujarat, Rajasthan, Assam and Meghalaya and heard views of organisations, individuals, experts and others over the issue. The committee also heard the views of chief secretaries and police chiefs of Assam, Bihar, Gujarat, Jharkhand, Maharashtra and West Bengal.